Dutch painter. He was the pupil of Jacob Willemsz. I Delff and Huybrecht Jacobsz. He spent 15 years in Italy, then lived in Haarlem from 1604. He specialized in large kitchen interiors. 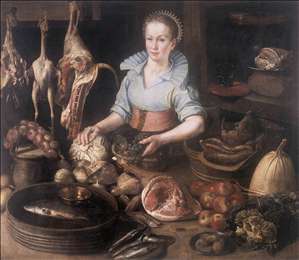 See more details about "The Kitchen Maid"